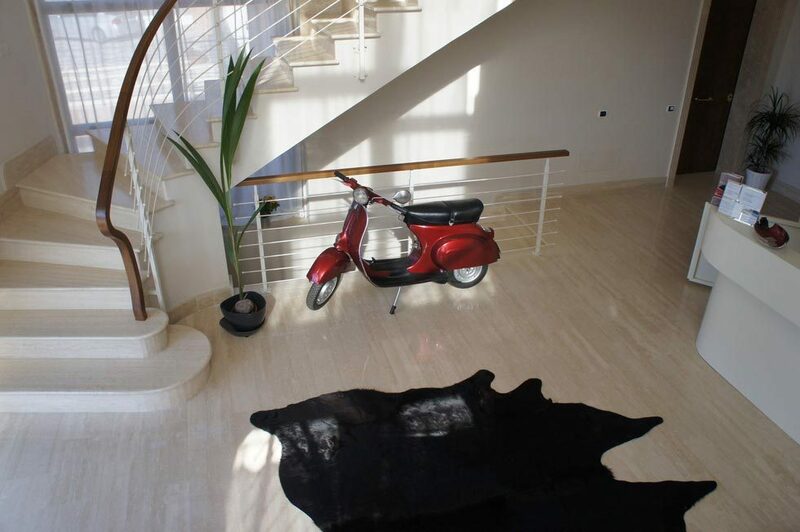 Aurelia House & Loft is situated on Via Giovanni Pacchioni 31 in the Aurelio District just a few miles from Vatican City, and is easily accessible from Exit 1 of the GRA (Grande Raccordo Anulare) ring road. 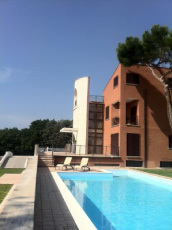 Nestling in a quiet, leafy residential area, Aurelia House & Loft is the perfect choice for those seeking an apartment for short to long term stays in Rome complete with free parking. Here arethe best ways to reach Aurelia House & Loft. Leonardo Express + Metro + Bus: from Fiumicino Airport take the "Leonardo Express" train to Termini Railway Station (departs every 30 minutes without stops). The cost of the ticket is 14 euros per person one way, with a journey time of 31 minutes. From Roma Termini Railway Station take the Rome Metro underground Line A in the direction of BATTISTINI and get off at CORNELIA. From here take Bus 906 and get off at the Via di Brava 48/50 stop. Turn left onto Via Filippo Grispigni and after 600 metres you will reach Via Giovanni Pacchioni 31. You can take one of the many buses that run from Ciampino Airport to Termini Railway Station, with a journey time of around 40 minutes. Bus companies include Terravision, Airport Shuttle, etc. From Roma Termini Railway Station take the Rome Metro underground Line A in the direction of BATTISTINI and get off at CORNELIA. From here take Bus 906 and get off at the Via di Brava 48/50 stop. Turn left onto Via Filippo Grispigni and after 600 metres you will reach Via Giovanni Pacchioni 31. Take the Rome Metro underground Line A in the direction of BATTISTINI and get off at CORNELIA. From here take Bus 906 and get off at the Via di Brava 48/50 stop. Turn left onto Via Filippo Grispigni and after 600 metres you will reach Via Giovanni Pacchioni 31. Take the Rome Metro underground Line B (in the direction of LAURENTINA) and get off at TERMINI (4 stops). From here take Bus 906 and get off at the Via di Brava 48/50 stop. Turn left onto Via Filippo Grispigni and after 600 metres you will reach Via Giovanni Pacchioni 31.